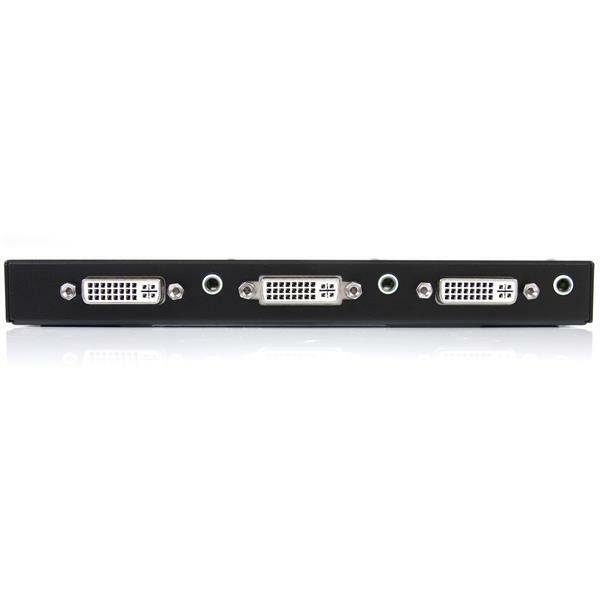 The ST122DVIA DVI splitter lets you share one DVI video and audio source on two displays and acts as a signal amplifier that allows you to locate your DVI monitors up to 33ft (10 m) away from your computer or DVI signal source. 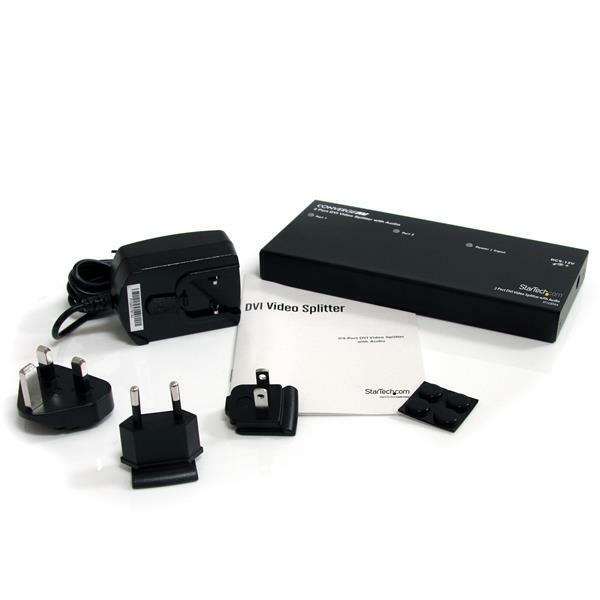 With support for high definition resolutions up to 1080p (HDTV)/1920x1200 (PC), the DVI splitter delivers a simple and convenient DVI video solution that suits virtually any application or operating environment (classroom, healthcare, professional A/V, control centres, retail POS environments). 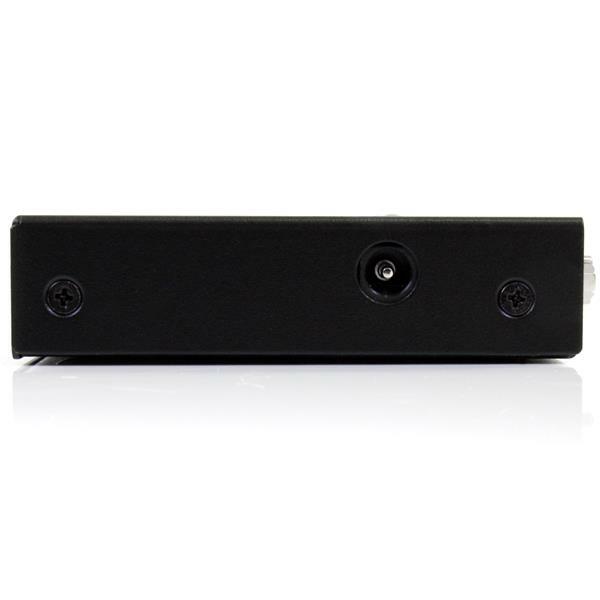 The DVI video splitter/distribution amplifier is easy to install, providing you with flawless digital video that will help you get the most from your DVI-enabled monitors, projectors, or plasma screens. This product is TAA compliant and backed by StarTech.com’s 2-year warranty with FREE lifetime tech support. Connect DVI projectors, monitors, large displays, and wall display systems for digital signage applications and ensuring content is delivered to target audience. Great for use in tradeshows, POS retail, healthcare, transportation terminals, education, house of worship. 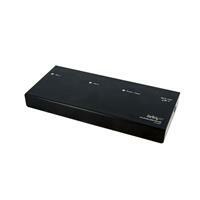 Doubles as an extender up to 33 feet (10 meters) from your DVI source. Splits a DVI signal to display sharp digital images on two monitors with support for HD resolutions and stereo audio.